UK based Ilika Ltd. is a high-tech company developing new materials for energy and electronics applications through the use of its patented, high throughput techniques. In July 2013, Ilika entered into an industrial partnership with the University of Southampton to design, build and operate a solid-state battery scale-up facility. DCA Instruments was selected by Southampton University and Ilika to manufacture this unique system. 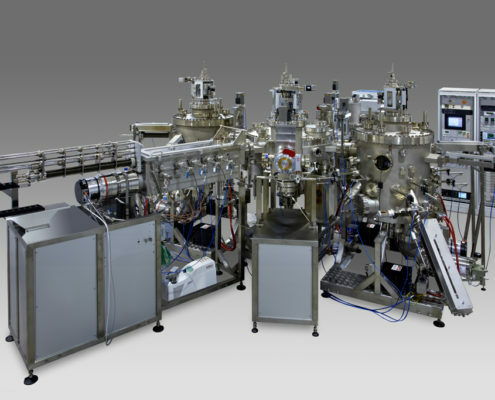 The multi chamber cluster tool system includes two customized M800 growth chambers and a linear UHV sputtering system. This cluster tool is a pilot line for the production of prototype solid state batteries in Southampton.